From humble beginnings, in a small room within Active Rehabilitation Physiotherapy in South Brisbane, we first saw children experiencing problems with day and night time wetting. It did not take long for the word to spread and we were soon inundated with concerned parents and medical professionals seeking expert advice in the area of children’s continence. Since those early days, the Mars Clinic has grown from strength to strength. Recognising the need to make our services more available to the wider community, the Mars Clinic has now expanded across Brisbane and the Gold Coast and provides assessment and treatment to children and adolescents with a broad range of bladder and bowel conditions. People travel from all over Queensland and northern NSW to attend the Mars Clinic. Our team continues to grow, with specially qualified, child and youth focused physiotherapists, and strong management and administrative support. Our specially trained Physiotherapists are invited to speak at specialist paediatric and continence workshops throughout the country and are expert at the treatment of children’s bladder and bowel conditions. We continue to provide education to parents, teachers, carers and medical professionals regarding the current evidence for treatment of children’s bladder and bowel disorders. We also participate heavily in research projects to validate our assessment and treatment techniques. We look forward to continuing to service our community and to providing solutions for children, adolescents and their families. With further Mars Clinic expansion anticipated, our future is exciting. We look forward to sharing it with you. Our guarantee of quality is evidenced in our commitment to Quality Accreditation. Accreditation to the best-practice standards of the Australian Physiotherapy Association has been awarded by the independent organization, Quality in Practice, a subsidiary of Australian General Practice Accreditation Limited (QIP/AGPAL). Voluntary participation in the Practice Accreditation Program means that our practice has been examined and assessed against a set of agreed standards. This commitment not only demonstrates a genuine concern for quality patient care, but also our willingness to be accountable – to the profession, to other health professionals and to the public. Accreditation status is conferred on a practice when the principal is able to demonstrate that the standards set by the association have been met. The standards cover a range of issues including quality of care, client confidentiality, practice management and staff qualifications. QIP Chair, Dr John Aloizos, said achieving accreditation demonstrates that the practice makes a significant investment in quality on a day-to-day basis from the top down. 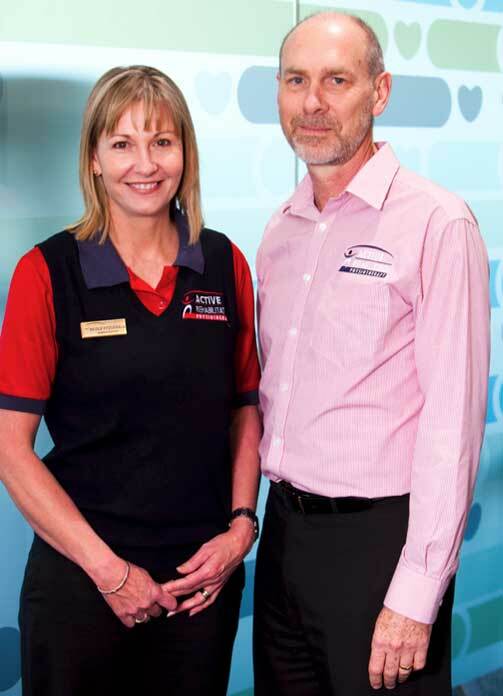 “Accreditation is a major achievement and is a clear demonstration that Active Rehabilitation Physiotherapy is constantly striving to improve their level of service to their clients and the community. Practices seek accreditation through QIP because they want to be the best and this is another step towards excellence.” We want to communicate to our clients that their well being is our priority. QIP Accreditation assures patients we are committed to providing care which meets the APA Standards.